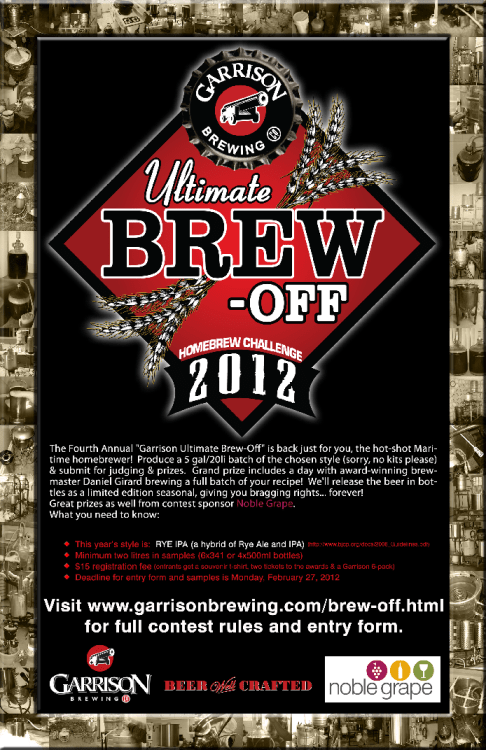 The Garrison Ultimate Brew Off Awards Ceremony will take place tomorrow, Thursday, March 22nd. Doors will open for the ceremony at 7pm with the awards ceremony starting at 7:30pm. Tickets are $5 for entry. As part of the ceremony, last year’s winning beer, Adam and Eric’s Schwarz Bier, will be unveiled as well in bottles. As per Twitter, the new beer is expected to be available at Premier Wine & Spirits by this Friday as well.